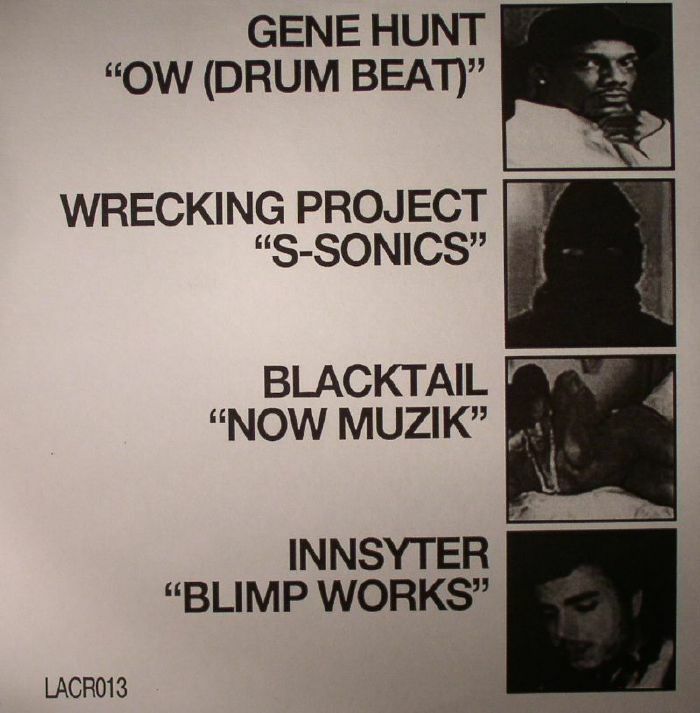 Gene HUNT/WRECKING PROJECT/BLACKTAIL/INNSYTER OW (Drum Beat) vinyl at Juno Records. 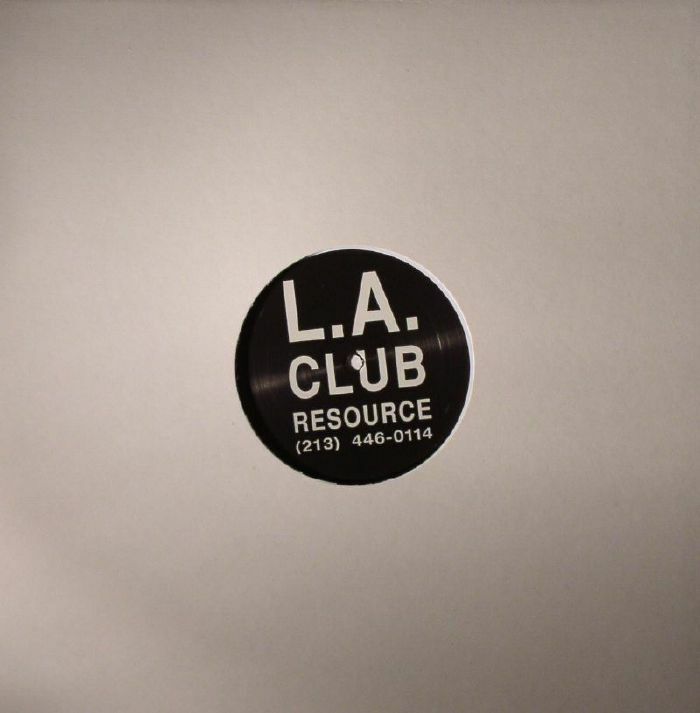 Delroy Edward's LA Club Resource finally drops its next bombshell, this time a collaborative effort that includes three newcomers, possibly riding low-key under different aliases. 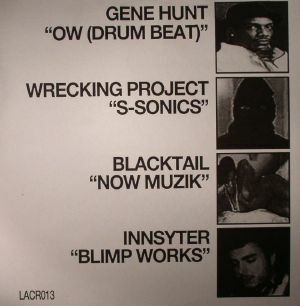 Riding shotgun, you got Chicago legend Gene Hunt with the minimal and freaky vibes of "OW (Drum Beat)", a woman's scream darting in and out of the stripped-back groove, and the heavily filtered "S Sonics" by the mysterious Wrecking Project. Over on the flip of the wax plate you have Blacktail's old-school lick "Now Muzik", while "Blimp Works" by Innsyter is a pumping techno gunshot that goes dirty and heavy on the percussive rattle. Raw, dirty, and messed up from the start.